Orange has been for 50 years at the forefront of cabinet design, and their rugged PPC412 cabinet has become an industry standard. The PPC212V is Orange's first vertical cabinet and has been designed to be as light as possible without compromising tonal response. Constructed from 15mm Birch Plywood, it's light and compact, but robust enough to withstand the rigors of touring. The PPC212V has Celestion Neo Creamback speakers, keeping the weight down while still retaining the tonal excellence you would expect from an Orange cabinet. 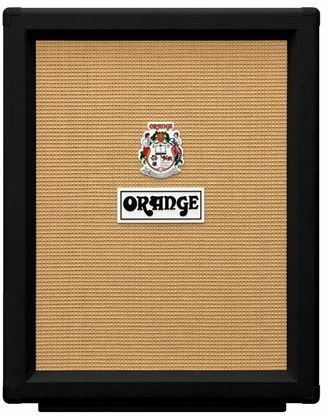 Orange has sourced the best quality Birch Plywood and lightweight Celestion Neo Creamback speakers to make the PPC212V one of the lightest 2 x 12 speaker cabinets available. To be used in conjunction with the Terror series, the Vertical cabinets give you Orange tone in a small scale size. Finished in Orange's legendary livery dating back to 1968.